Pamplin Media Group - Ready . . . Set . . . Shop! Ready . . . Set . . . Shop! It's time to make your list, check it twice and sample the truly unique wares offered by local handcrafters and boutique vendors. Santa's elves are primed and ready to help you with your holiday gift giving. They even notified The Outlook and Sandy Post News where they will be so we could bring you our annual calendar of harvest bazaars. • 10 a.m. to 7 p.m. Monday through Saturday, noon to 6 p.m. Sunday, NW Creations and Collectibles, 364 N.W. Eastman Parkway, Gresham. The work of 80 local artisans and crafters, featuring handmade home decor and jewelry, as well as nostalgic and vintage collectibles, baby quilts, seasonal tole painting and more. • 4-8 p.m. Thursday, 10 a.m. to 8 p.m. Friday, and 9 a.m. to 1 p.m. Saturday, 33rd annual Harvest Moon Bazaar, Good Shepherd Community Church, 28986 S.E. Haley Road, Boring. More than 90 booths featuring handcrafted, repurposed and vintage items, along with a Junior Crafter's Corner and food carts. Facility is accessible for wheelchairs and strollers. Early Bird Preview from 1-3 p.m. Thursday. See Harvest Moon Bazaar on Facebook for more information. • 1-5 p.m. Friday, 9 a.m. to 4 p.m. Saturday, Crossroads Church Christmas Bazaar, 2505 N.E. 102nd Ave., Portland. Handcrafted gifts and cards, holiday decorations, wooden toys, jewelry, birdbaths, birdhouses and baked goods. More than 35 vendors. Donations of canned goods for the church's food bank will be welcomed. • 9 a.m. to 3 p.m. Saturday, Gateway Church, 13300 S.E. San Raphael St., Portland. Unique holiday gifts. Sponsored by St. Matthew's Anglican Church, with all proceeds benefiting local nonprofit organizations and veterans. • 9 a.m. to 3 p.m. Saturday, Lents Gilbert Church of God, 12230 S.E. Harold St., Portland. Handmade gifts for everyone on your list, including baked goods and Christmas decor. Lunch with homemade pie also will be available. Proceeds benefit the church's mission work. • 9 a.m. to 5 p.m. Saturday, Parkrose Community United Church of Christ, 12505 N.E. Halsey St., Portland. Handcrafted gifts, baked goods and tasty concessions. • 9 a.m. to 4 p.m. Friday and Saturday, 10th annual Barn Boutique, Sandy Grange, 34705 S.E. Kelso Road, Sandy. Handmade treasures by local artists, gemstone and leather jewelry, woodwork, baby clothes, hand-knit items and bath and body gifts. • 11 a.m. to 6 p.m. Friday and Saturday, Alder Tree Vineyard Wine Tasting and Holiday Bazaar, 34944 S.E. Colorado Road, Sandy. Wine tasting from the vineyard's Estate Bottled Pinot Noir, Pinot Gris and Chardonnay varieties. Event also offers handcrafted jewelry, cards, woodworking and other gift items. • 10 a.m. to 7 p.m. Friday, 9 a.m. to 4 p.m. Saturday, Star of Wonder Holiday Bazaar, Phonics Phactory Christian School, 3333 N.E. Eighth St., Gresham. Great mix of handcrafted jewelry, children's and holiday items, repurposed decor and more. Food and treats throughout event, along with Santa's Workshop for children and a photo booth. • 10 a.m. to 5 p.m. Friday and Saturday, Wren's Nest Holiday Show, 2141 S.E. 103rd Drive, Portland. Unique handcrafted gifts, holiday and home decor, jewelry and fiber arts as well as vintage treasures. • 9 a.m. to 5 p.m. Friday and Saturday, Pleasant Valley Baptist Church, 17608 S.E. Foster Road, Gresham. Antique Christmas ornaments and collectibles, aprons, embroidered towels, baked good and home products. Door-prize drawings and lunch will be available both days. • 9 a.m. to 4 p.m. Saturday, Kick N2 Fitness Bazaar, 710 N.E. Cleveland Ave., Suite 170, Gresham. Along with glass art, jewelry and birdfeeders, gardeners will find a variety of air plants and succulents. • 10 a.m. to 5 p.m. Saturday, Fall into Christmas Bazaar, MLA Middle School, 3240 S. Troutdale Road, Troutdale. Holiday music and beverages, a visit from Santa and a variety of gifts items and products. Proceeds, including raffle ticket sales, benefit the students of MLA. • 9 a.m. to 4 p.m. Saturday, 37th annual Christmas Bazaar, St. Therese Parish, 1260 N.E. 132nd Ave., Portland. Handcrafted gifts include jewelry, pottery, holiday decor, candies and jams, baby items and more, including a raffle. Kitchen will be serving lunch, to benefit the Catholic Youth Organization sports program. Book sale proceeds support the school's Outdoor School program. Santa will be in attendance, so moms and dads, bring a camera! 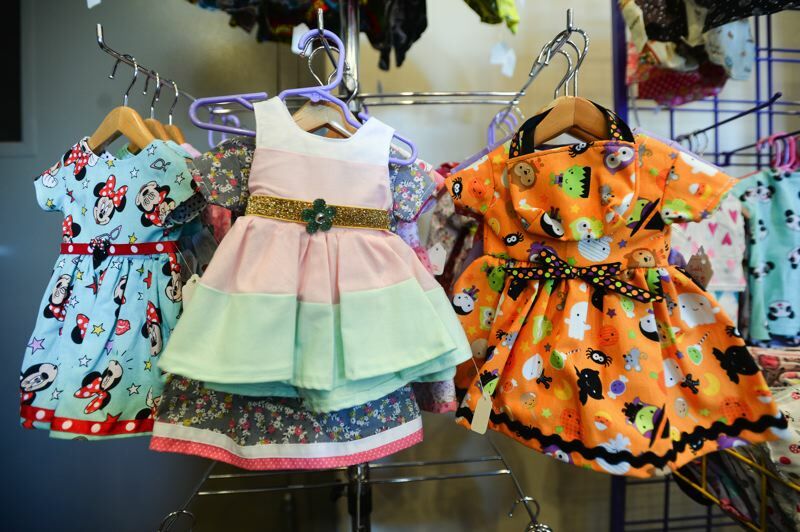 Kids Corner will offer gifts priced especially for the youngest shoppers. And don't miss the Cookie Corner! • noon-6 p.m. Friday, 10 a.m. to 5 p.m. Saturday, and 10 a.m. to 4 p.m. Sunday, Larch Mountain Country Artisans 39th annual Heart of the Country Show and Sale, Glenn Otto Community Park, Sam Cox Building, 1106 E. Historic Columbia River Highway, Troutdale. Premier showing of fine arts, crafts, folk art and quality handiwork by area artists. • 5-9 p.m. Friday, 9 a.m. to 4 p.m. Saturday, Jingle and Mingle Craft Market, St. Joseph the Worker Catholic Church, 2310 S.E. 148th Ave., Portland. Wine and cheese preview Friday night. Home-baked goodies, handcrafted items and children's corner, where youngsters can shop for family members and wrap it themselves. Snack bar available. • 9 a.m. to 5 p.m. Saturday, 2018 Craft and Food Bazaar, Powell Butte Elementary School, 3615 S.E. 174th Ave., Portland. 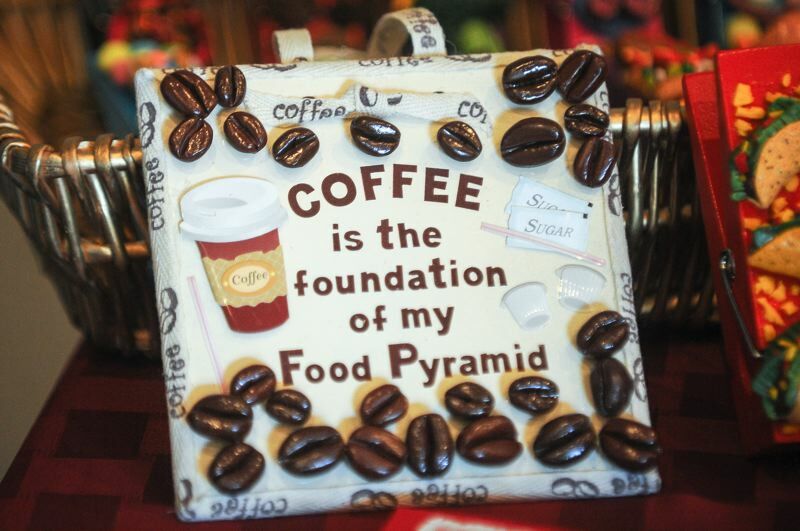 Yummy food, baked goods, jewelry, art work, Christmas decor and more. Vendor fees benefit the school's parent/teacher club. • 9:30 a.m. to 5:30 p.m. Saturday, 10th annual TOPS Holiday Bazaar, Harvest Christian Church, 624 S.W. Halsey St., Troutdale. More than 50 vendors will offer a wide selection of homemade goodies and pastries, along with knitted hats, scarves, recycled products, doll clothes, jewelry, pottery and more. Proceeds support members' trips to weight loss conventions and community charities. A barrel for food donations to SnowCap Community Charities will be available. • 10 a.m. to 4 p.m. Saturday, Gresham Women of Elks, Gresham Elks Lodge No. 1805, 3330 N.E. Division St. Gingerbread Corner with lots of baked goods and 45 new and returning vendors offering handmade and boutique items. Lunch served all day. Admission is three canned food items or a donation to the lodge's Christmas Basket Program. Proceeds benefit lodge charities. • 9 a.m. to 5 p.m. Saturday, Green Tee Estates, 900 N.E. Francis Ave., Gresham. Tenth-annual event features an assortment of handmade creations including woodworking, jewelry, hand-sewn items, crochet work and more. 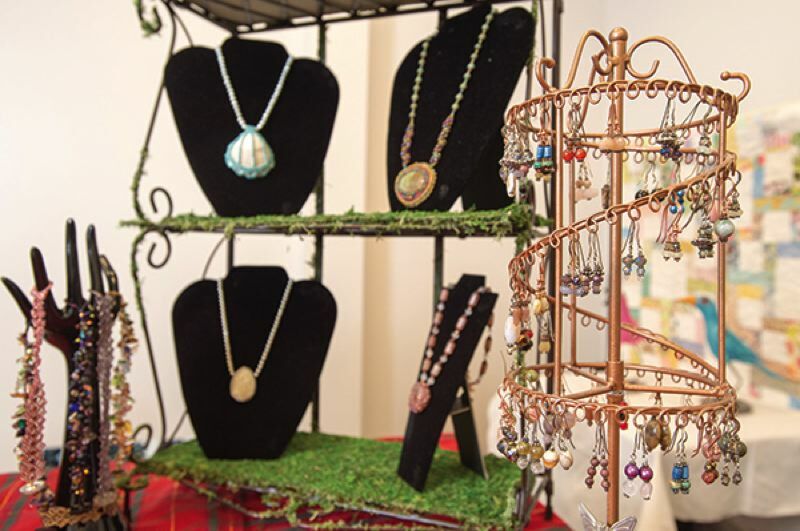 • 10 a.m. to 5 p.m. Saturday, 9 a.m. to 3 p.m Sunday, Sandy Holiday Craft Bazaar, Sandy High School, 37400 Bell St. More than 80 vendors offering a wide assortment of handmade gift items, as well as some direct sales. Snack bar will offer homemade food and goodies during bazaar hours. Santa will be available for photos from noon to 3 p.m. both days. • 10 a.m. to 5 p.m. Saturday and Sunday, Lindsoe Clayworks Studio, 69177 Barlow Trail Road, Welches. Hand-thrown pottery, whimsical sculptures and gardenware. • 9 a.m. to 4 p.m. Saturday, Wilkes Elementary School Holiday Gift Bazaar, 17020 N.E. Wilkes Road, Portland. Local vendors will bring a large assortment of handmade crafts and gifts. • 9 a.m. to 5 p.m. Saturday, Suburban Mobile Estates Clubhouse, 21016 S.E. Stark St., Gresham. Holiday baked goods, craft items and more. • 9 a.m. to 3 p.m. Saturday, Saturday with Santa Holiday Bazaar, Kelso Elementary School, 34651 S.E. Kelso Road, Boring. Presented by the Kelso Community Club, which serves the school. Photos with Santa, handcrafted gift ideas, kids' craft activities, food and beverages.